Hadassah Medical Organization has always defined health care in Israel, and now Hadassah has a 360-degree vision for a changing world. It’s about compassion. It is about healing. It’s about life. Hadassah is the founder of Israel’s modern health-care system, and has been tireless in maintaining the highest standards for more than 100 years. Since 1960, the population of Jerusalem has tripled, and the demands on the Hadassah Medical Organization (HMO) and Hadassah Hospital at the Ein Kerem campus have grown exponentially. Hadassah must respond—and we must look forward. So HMO begins, first by completely reimagining the iconic Round Building, the hospital’s original inpatient center at Ein Kerem. With this renovation and expansion, the new Round Building will be an important healing center for Israel. It will significantly advance the services in its outpatient surgery, maternity, oncology, and dermatology departments. The Jerusalem Gateway Project is transforming the city into an entrepreneurial business center. Already, in the past few years, Jerusalem has gone from unranked to 25th on the global list of high-tech cities, and people are flocking to this innovation hub. Jerusalem Mayor Nir Barkat sees the Hadassah Medical Organization (HMO) as playing a vital role in taking Jerusalem to the next level—attracting new talent and revolutionizing modern health care. 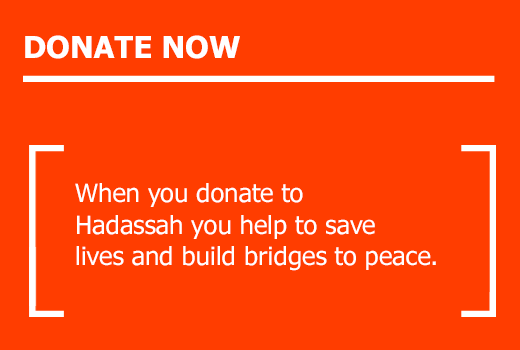 It’s a remarkable opportunity for Hadassah. 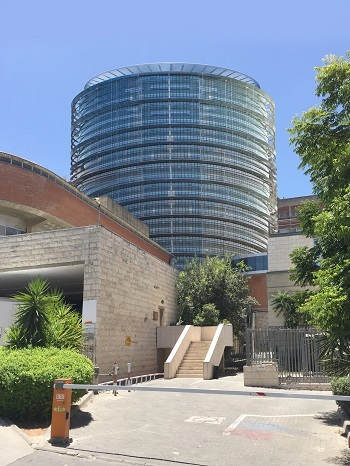 As the population of Jerusalem grows, the renovation and expansion of the Round Building on the Ein Kerem campus will ensure a higher level of patient care, increase the number of patients HMO serves each year, and contribute substantially to HMO’s growth. The modernized Round building will allow HMO to serve far more patients far more comfortably and help us meet our own demanding standards for high-quality, compassionate care. 200 new beds will significantly increase the number of patients HMO will serve. 17 renovated operating rooms with state-of-the-art equipment will improve efficiency and reduce waiting times for surgery. New construction will strengthen the building and protect the hospital from earthquakes. Safe rooms on each floor will protect patients from conventional, biological, or chemical attacks. Upgrades will allow HMO to expand treatment offerings and provide more comprehensive services. Renovation will break down barriers between research and clinical services to accelerate the “bench to bedside” process. Larger rooms will give patients more privacy and reduce the risk of infection. Reconfigured and improved interior space on each floor will allow doctors and nurses to respond more quickly to patients. A new state-of-the-art Simulation Lab will feature multidisciplinary facilities, resources, and capabilities. Numerous simulation spaces within the Lab will provide medical and nursing students with the opportunity for intensive, hands-on clinical training. Achieving our vision for 360 degrees of Healing is only possible through the full support of our committed friends. 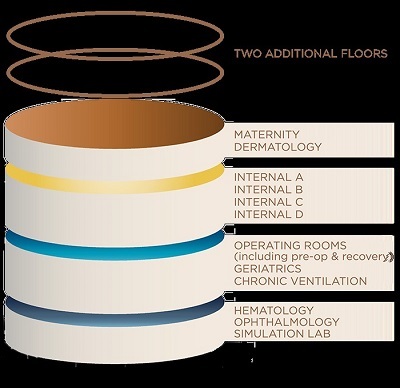 To complete the renovation and expansion of the Round Building—so vital to health care in Israel and worldwide—we need to raise $91.2 million by 2021. The reimagined Round Building ensures HMO will remain a world-renowned health care leader and a global destination for advanced care, continued innovation, and cutting-edge research. $360+ Gifts of $360 or more will receive the Full Circle certificate with your name on it or the name of someone special. $1,200+ Gifts of $1,200 or more will receive a beautiful certificate with your name on it or the name of someone special, and a mezuzah will be affixed to one of the many doors in the Round Building at Hadassah Ein Kerem. $1,800+ Gifts of $1,800 or more will have your name or the name of someone special inscribed on a Road to Healing wall tile on a floor in the Round Building. $25,000+ Builders of Promise are new gifts/pledges of $25,000 or more (payable over 3 years pursuant to a pledge agreement). Donors will receive recognition in the Round Building. 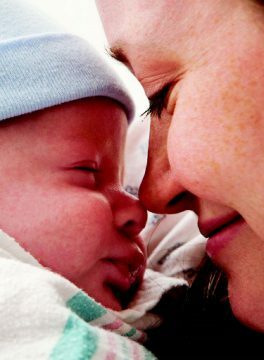 $36,000+ New gifts/pledges for a naming gift of $36,000 or more (payable over 3 years pursuant to a pledge agreement). Donors will receive naming recognition in the Round Building. Naming opportunities are tentative, the designation for some floors and rooms may change location.